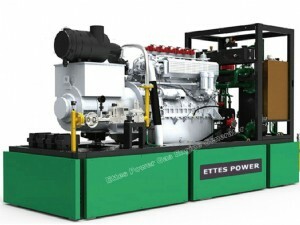 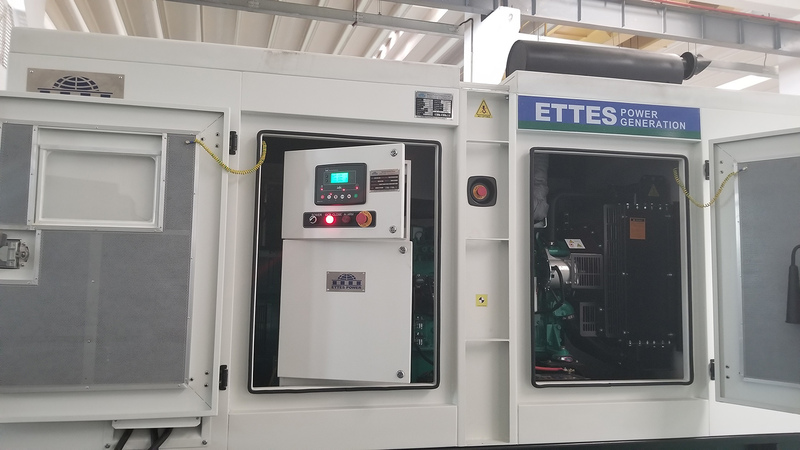 Ettes Power CHP/Cogeneration/Trigeneration Gas Engine Generator Power Plant ranging from 30kw upto 4500kw, which can be driven by world top engines Cummins, MAN, MWM, CNPC 190 and Low Speed 300 Series Engines. 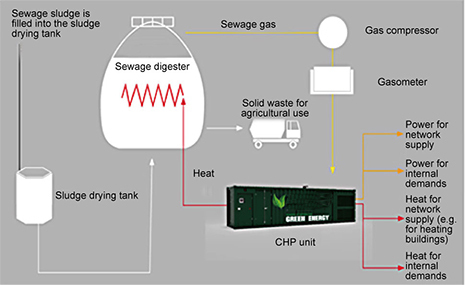 Combined Heat and Power (CHP)/Gogenerating System is the on-site generation of electricity and the utilization of the heat that is a by-product of the generation process (exhaust gas and hot cylider water). 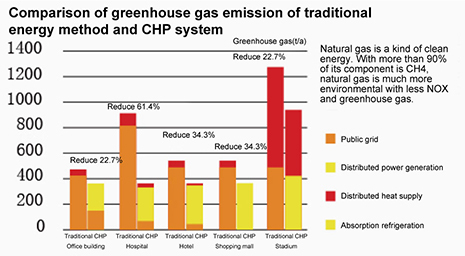 For a wide range of buildings, CHP can offer an economical method of providing heat and power which is less environmentally harmful than conventional methods. 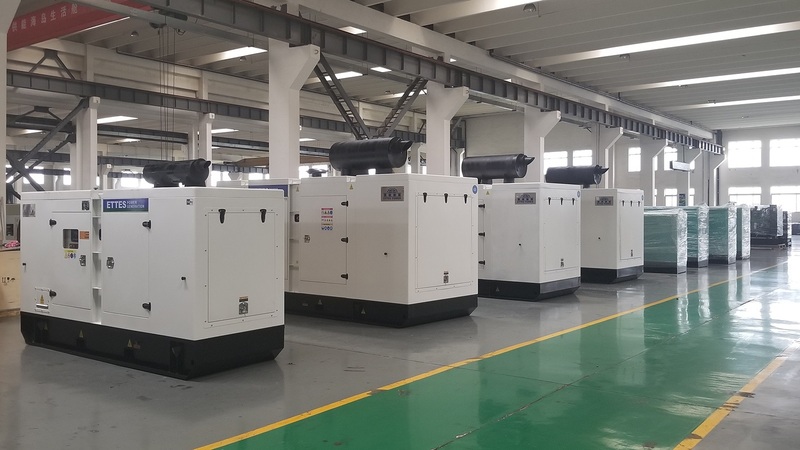 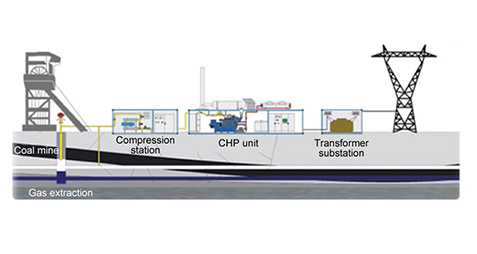 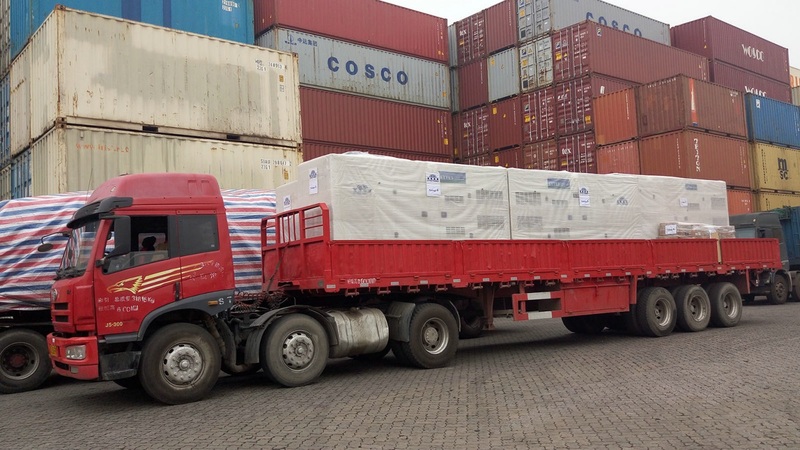 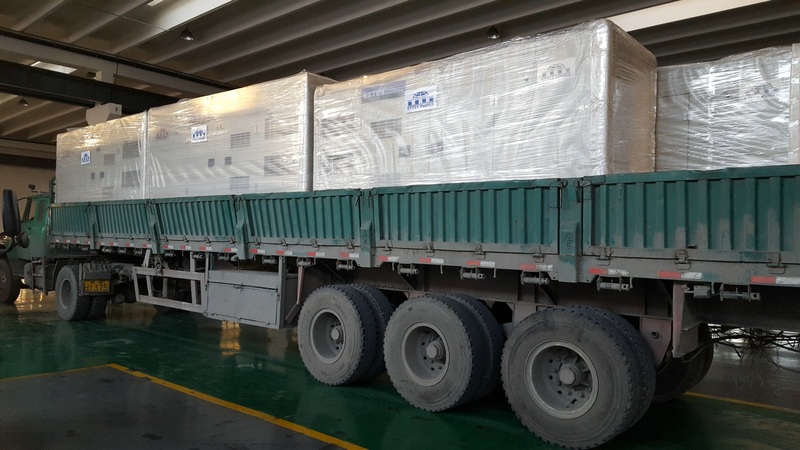 For Generator Set, combined heat and power (CHP) integrates the production of usable heat and power (electricity), in one single, highly efficient process. 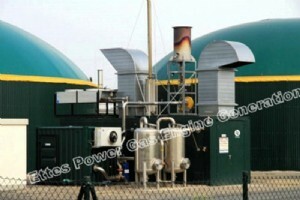 CHP generates electricity whilst also capturing usable heat that is produced in this process. 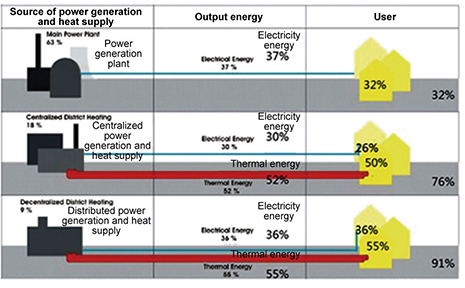 This contrasts with conventional ways of generating electricity where vast amounts of heat is simply wasted. 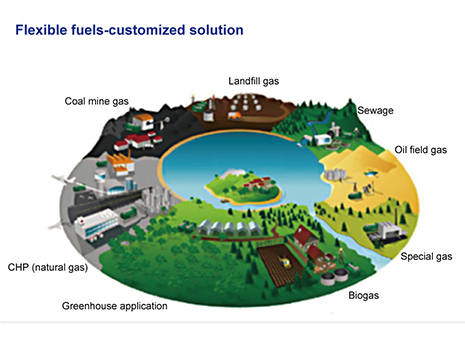 In today’s coal and gas fired power stations, up to two thirds of the overall energy consumed is lost in this way, often seen as a cloud of steam rising from cooling towers. 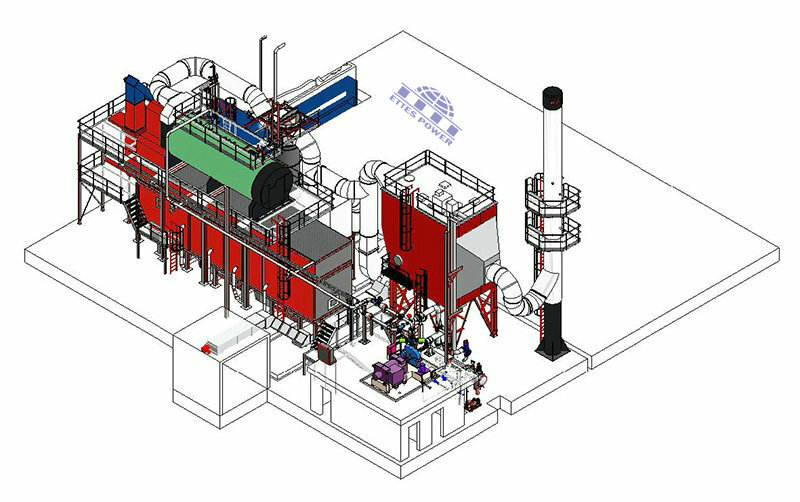 Their relative sophistication means that the overall efficiency of CHP plants can reach 65-80% or more. 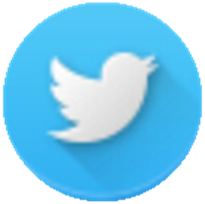 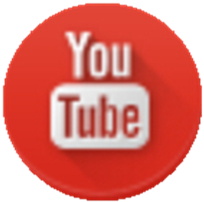 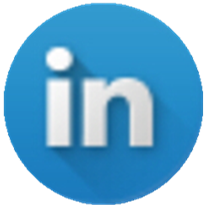 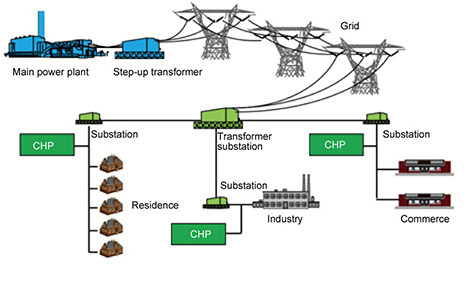 ► What's Distribution Energy Applications ? 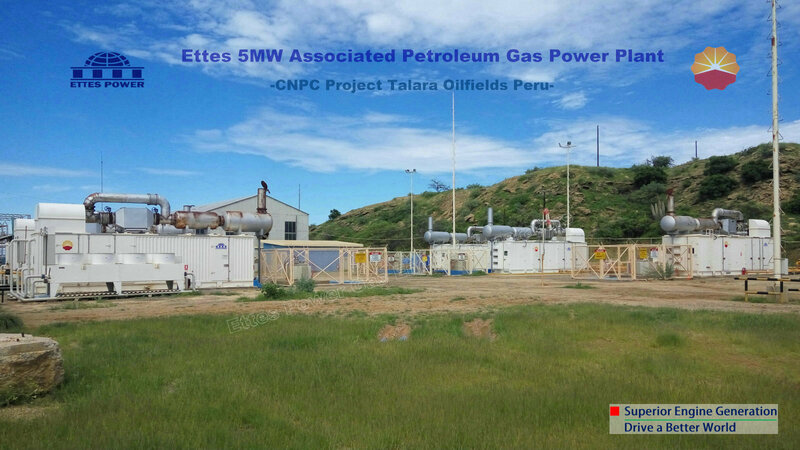 Shale Gas,Marsh Gas and other methane gas. 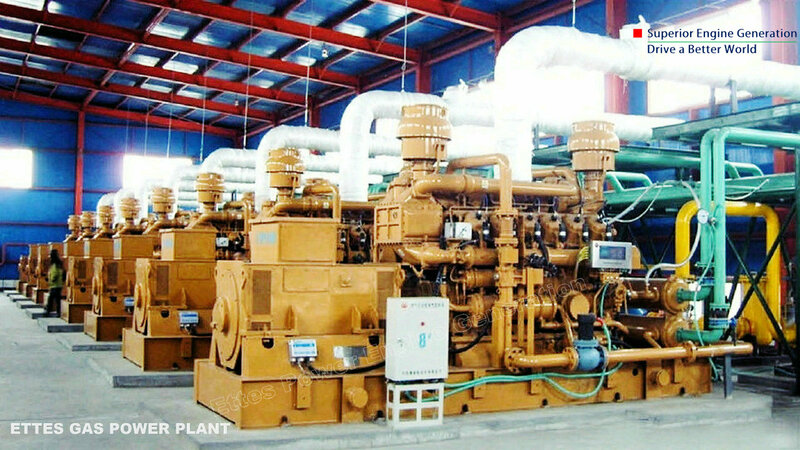 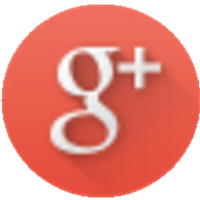 ► Why to choose CHP/Cogeneration Power System ? 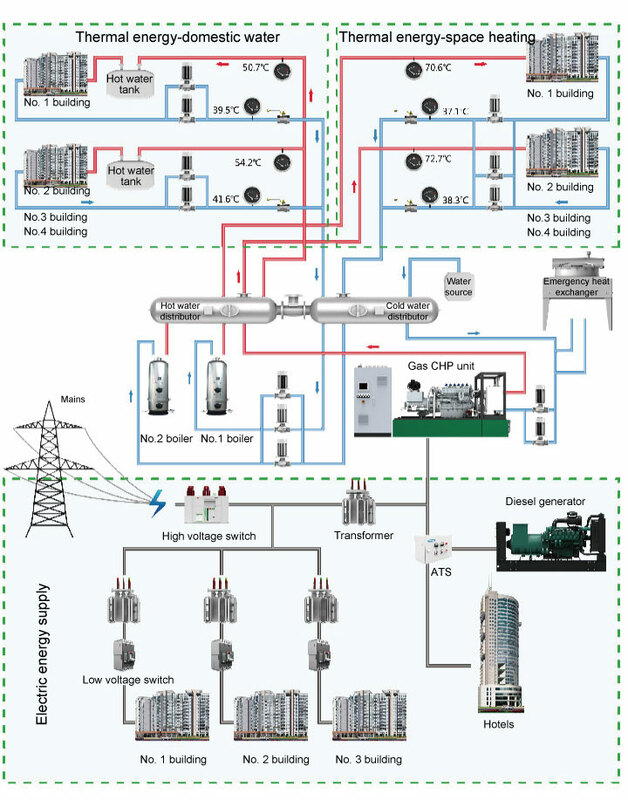 Enhance primary energy utilization ratio up to 90% and reduce distribution and transmission cost (6-7%). 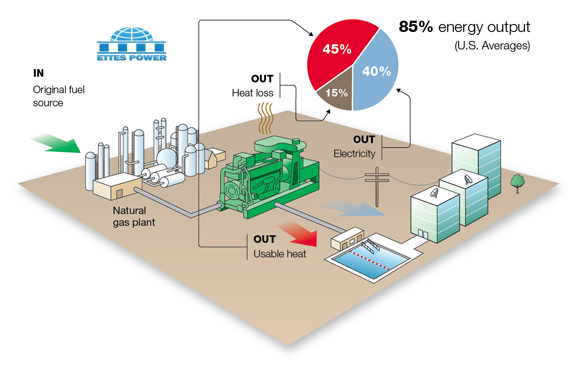 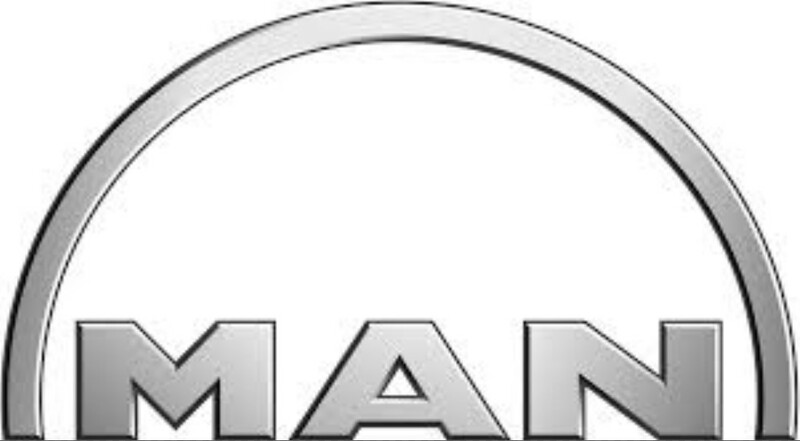 Thermal energy produced during power generation can be fully used to meet the daily electric, heat and cold energy demand almost with no loss. 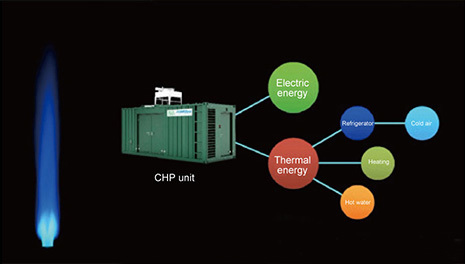 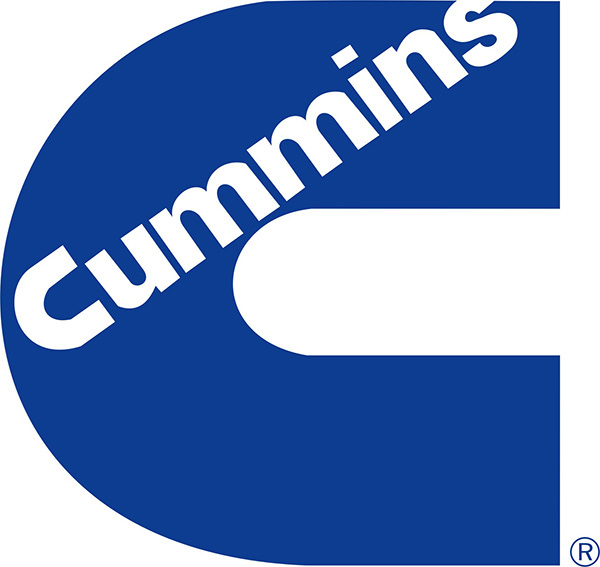 The overall efficiency of CHP units can reach as high as 90%. 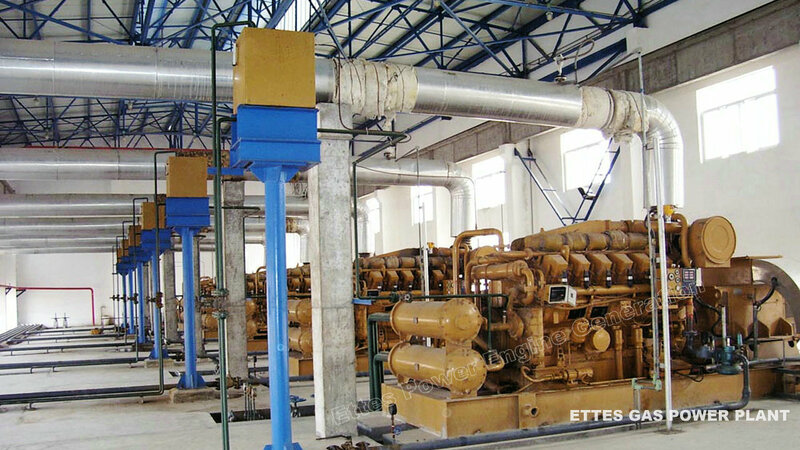 Excessive electric energy can be paralleled to the mains grid and get according expense. 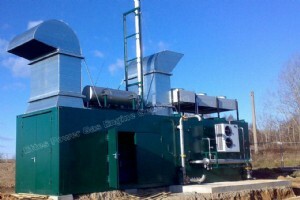 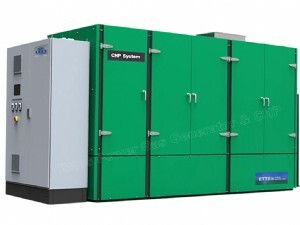 Combination with other heat sources, such as bio-boilers, solar thermal systems and heat pumps, as well as traditional boilers, the CHP units can offer a full range of heating technology, intelligent control and professional technical support backed to ensure maximum energy efficiency hybrid heat source. 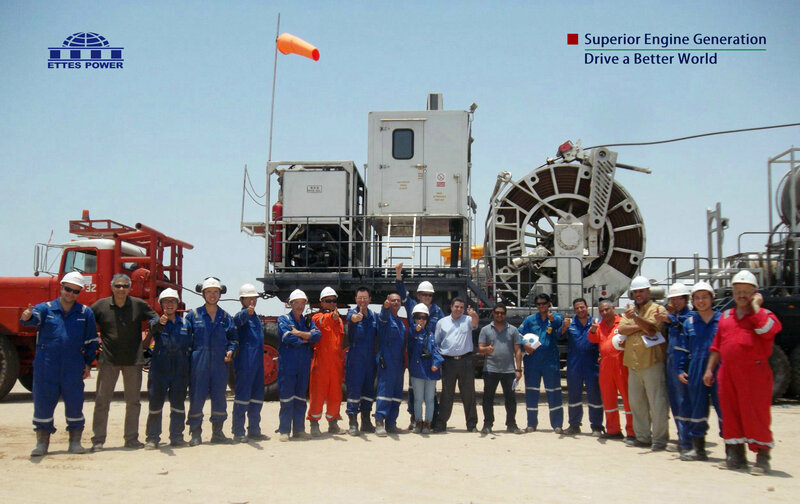 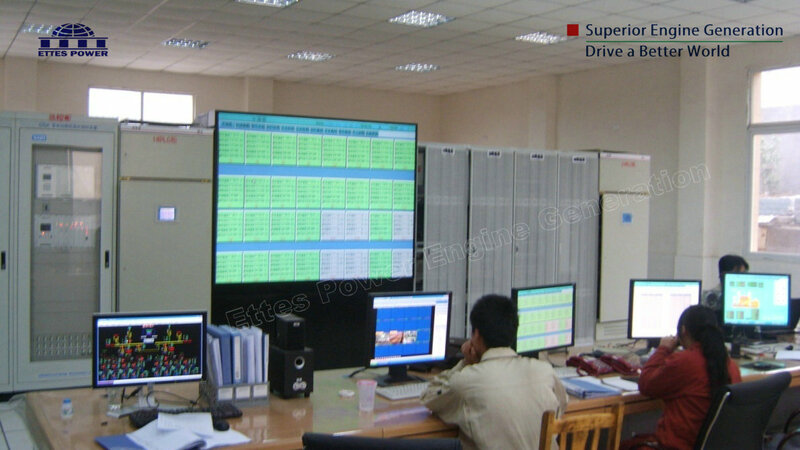 Ettes Power CHP units are equipped with 10-inch colour touch model screen, which makes it easier to read the data. 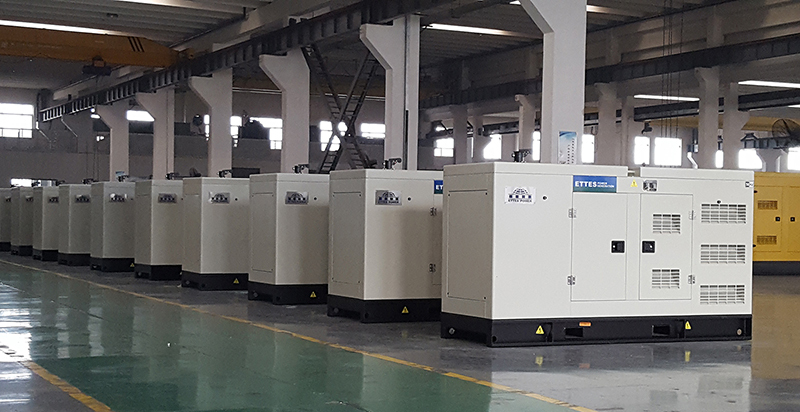 Characterised tics of with easy operation and high safety, Ettes Power CHP units are equipped with integrated parallel control cabinet, automatic oil filling and discharging devices. 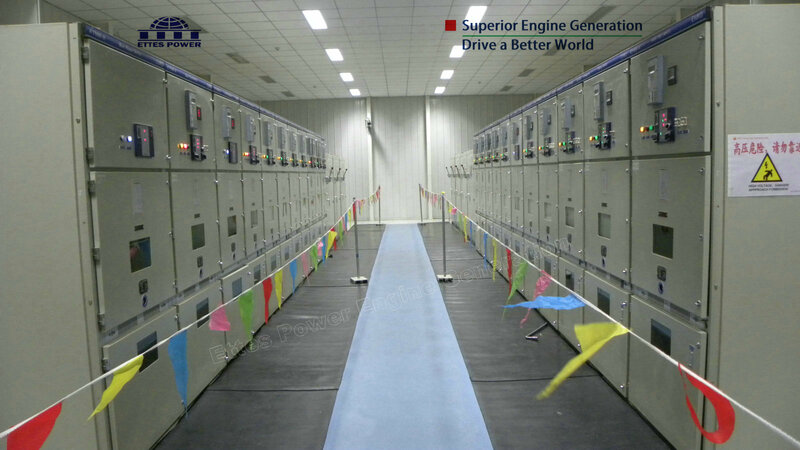 Ettes Power CHP unit's emission of sulfur dioxide and solid waste are almost zero; the emission of nitrogen oxides reduces by 80%; the floor area and water consumption can also reduce by more than 60%. 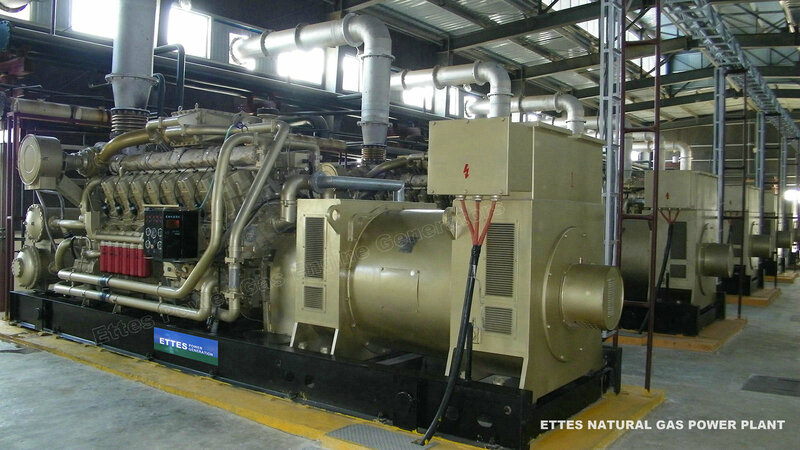 The noise produced during operation are reduced dramatically through combined noise reduction measures. 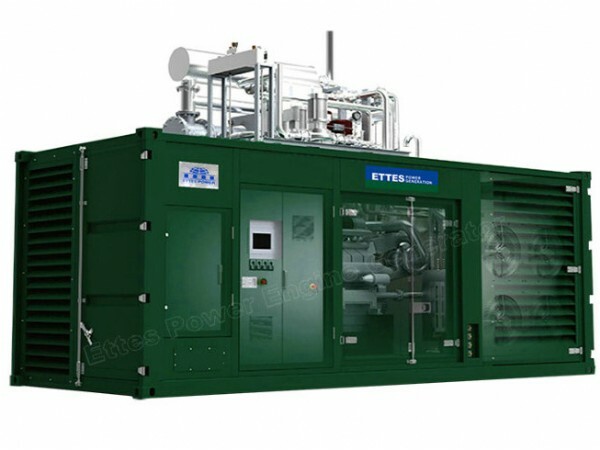 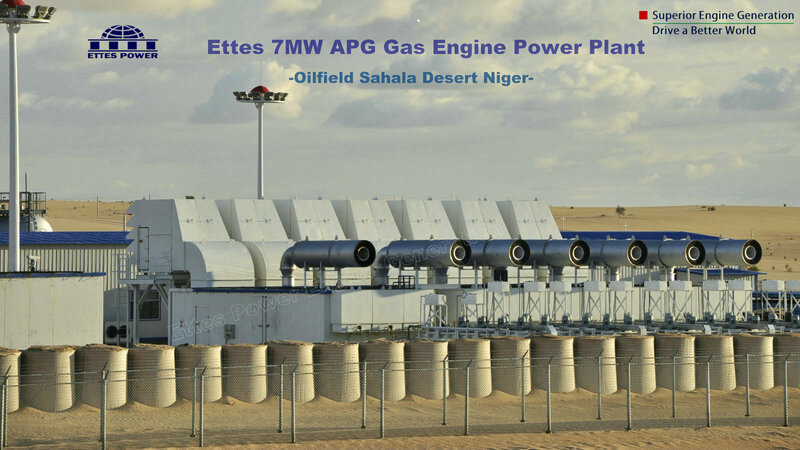 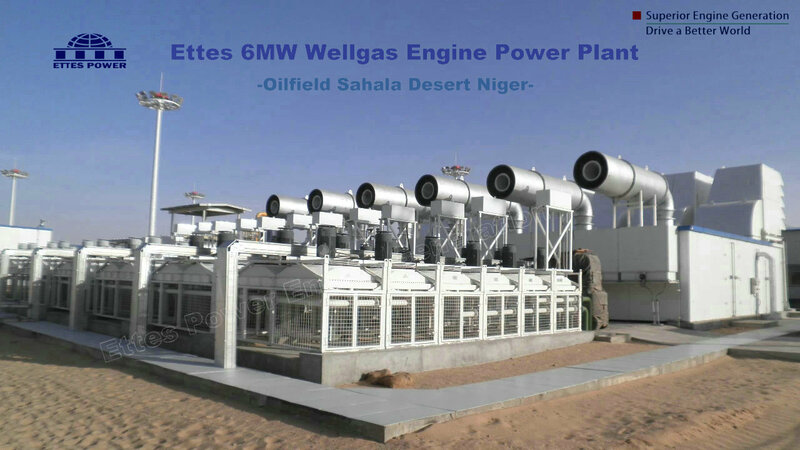 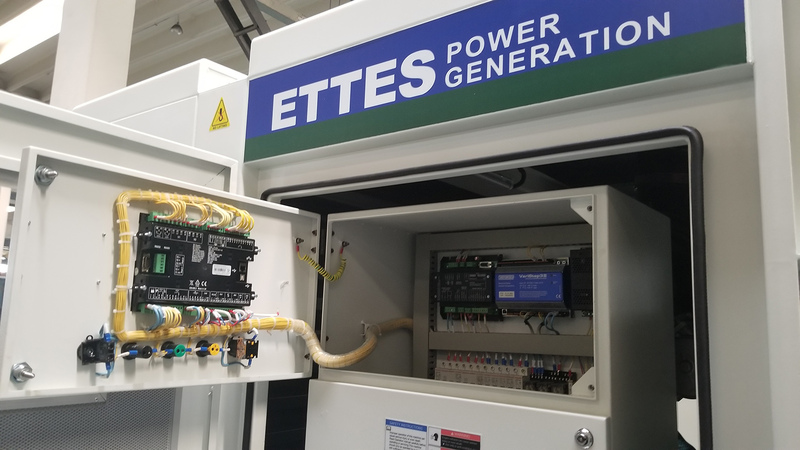 Natural gas, biogas, sewage and landfill gas can be used by Ettes Power gas generators for generation of electrical and thermal energy. 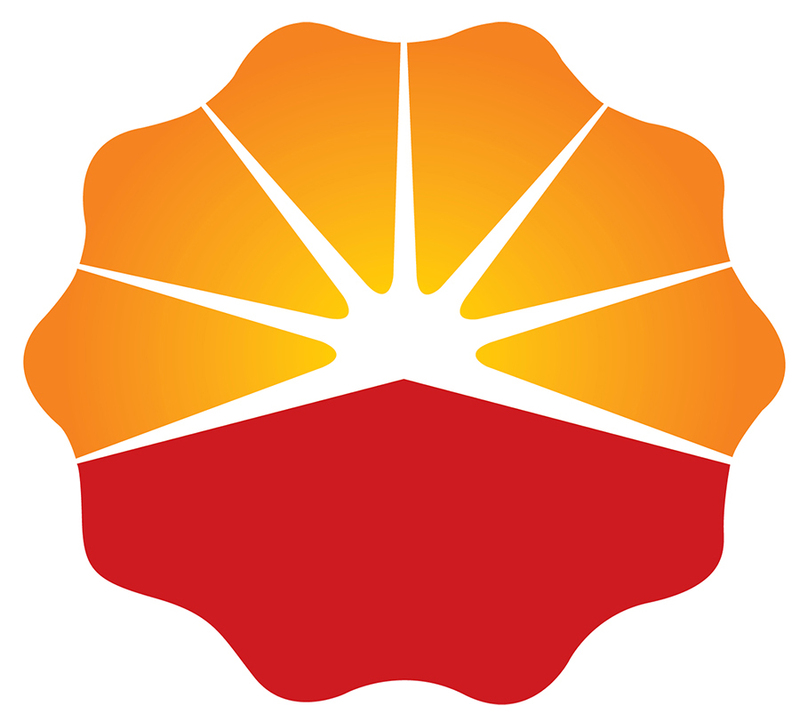 Coal and Oil dominates China’s primary energy consumption as high as 70%. 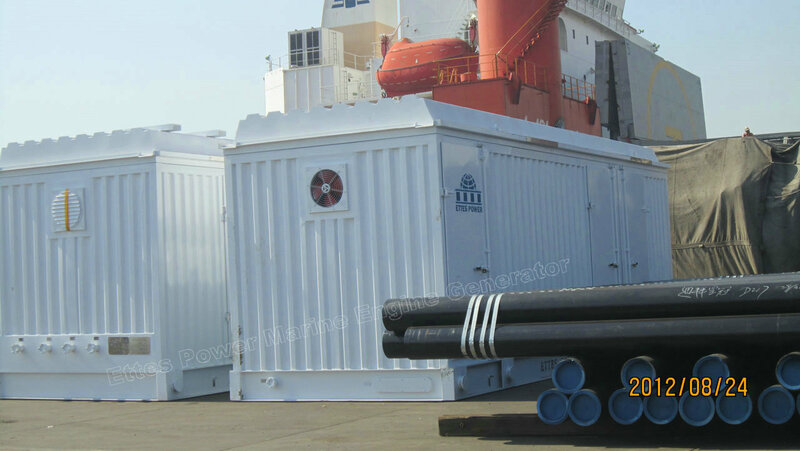 The percentage of petroleum, coal and natural in the world energy consumption are 20%, 60%, and 20% respectively, where that for China is 5%, 91% and 4%. 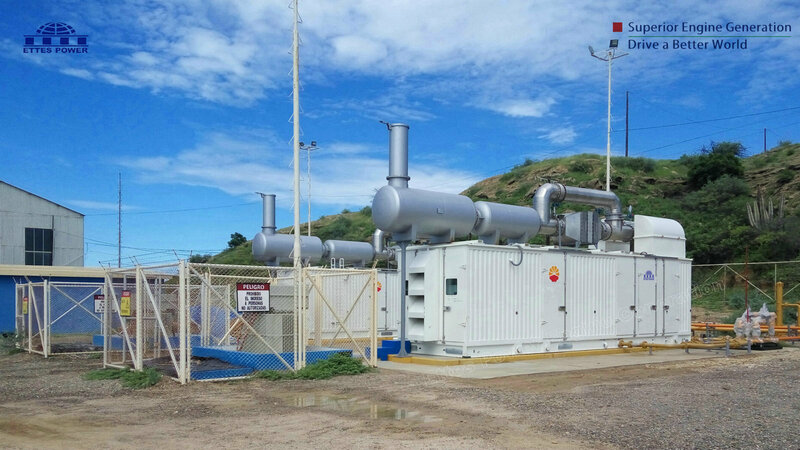 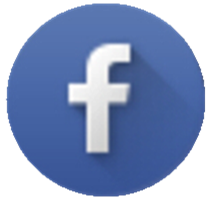 According to Larry Owens in Silicon Valley District, a power outage will causes Sun Microsystems a loss of 1 million dollars per minute. 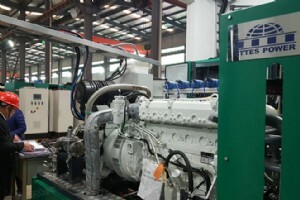 According to Hewlett-Packard, a 20-minute power outage will cause a circuit manufacturer a loss of $ 30 million dollars. 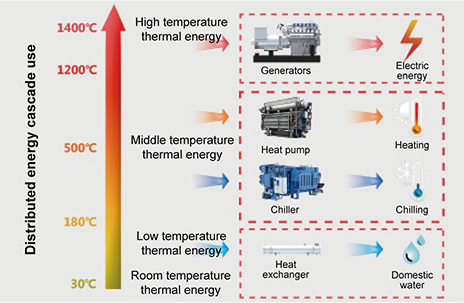 Thermal energy produced can be used for building heating, portable water heating, and domestic hot water, etc. 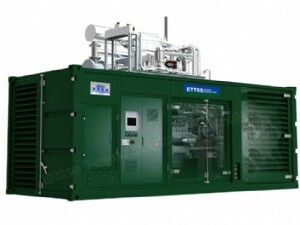 Excessive electric energy can be paralleled to the mains grid and get according expense. 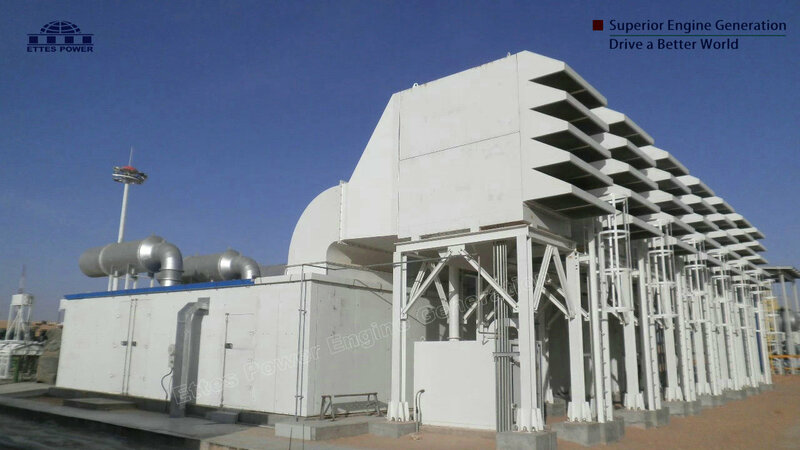 Besides power supply, the CHP units when combined with heat source absorption refrigeration equipment, can realized the trigeneration of cold, thermal and electricity energy to meet the need of domestic water heating, steam heating and chilling. 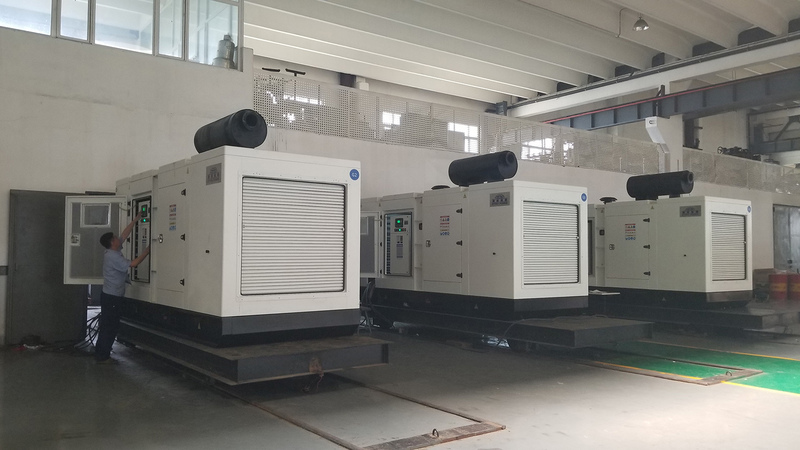 Reduce operation cost through efficient CHP system and distributed power generation technology; Excessive electric energy can be paralleled to the mains grid and get according expense. 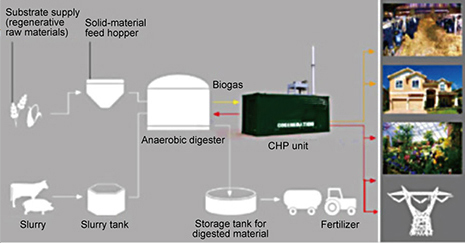 Use self-generated biogas as fuel to generate electric energy and thermal energy and reduce operation cost. 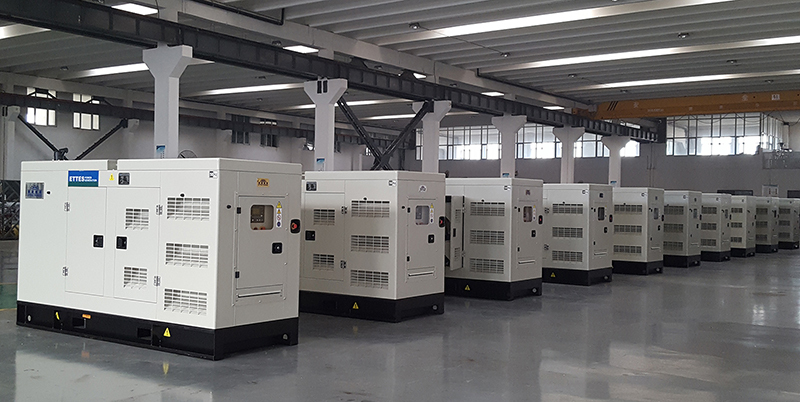 Distributed power generation plant is composed of multiple small energy station; power generated by the distributed power generation plant can be used as the standby power of mains.